I’m currently binge watching The Profit which features the successful entrepreneur Marcus Lemonis who invests $millions in struggling businesses to make them profitable. If you run a business or are considering starting one, The Profit is well worth your time watching, Marcus Lemonis gives some really good advice. 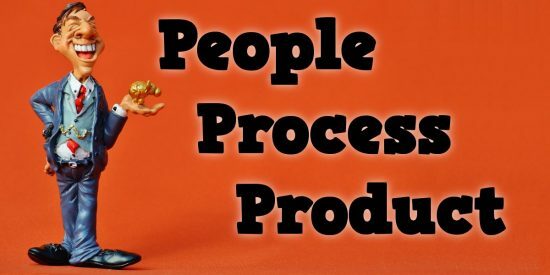 Marcus Lemonis AKA: Mr People, Process, Product. I’m not reviewing The Profit, I’m reviewing the Marcus Lemonis Website because I can: I enjoy looking for SEO problems and it can make for an interesting SEO training article. Like every website I look at it has plenty of basic SEO mistakes, below I only cover a small sample of issues, there’s lots more. 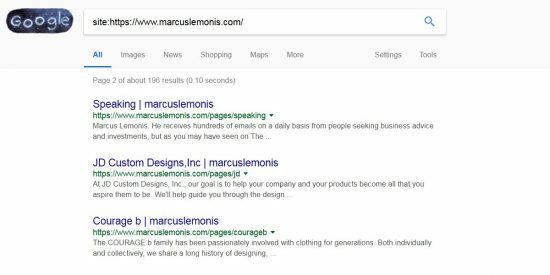 The website URL is marcuslemonis.com, so misses out on the SEO benefit from an hyphenated domain for “Marcus Lemonis” relevant SERPs. This isn’t a big deal, the hyphenated domain benefit from say marcus-lemonis.com is tiny and Marcus Lemonis isn’t a difficult SERP, so the unhyphenated domain is fine. Someone has registered marcus-lemonis.com, but hasn’t done much with it and it doesn’t rank in Google for relevant phrases: Google uses over 200 ranking factors, getting one minor ranking factor right isn’t enough. If branding is important, don’t worry about hyphenated domain names, if you aren’t building a brand consider an hyphenated domain for that small ranking boost: it’s small, don’t worry about it too much. When I registered seo-gold.com I wasn’t looking to build a brand, I work alone (self-employed) and had no plans to expand significantly due to health reasons, hyphenated made sense. Let’s look at the websites presence in Google. This will show webpages indexed on sub-domains as well, looks like all the content for marcuslemonis.com is under the www version. The first big problem I see with the Marcus Lemonis domain is the webmaster has made a mistake in the SEO branding. A few examples from the Google site: search. The separator isn’t important SEO wise, personally I prefer a hyphen (-), the webmaster on this domain has used a pipe (|). The SEO mistake by the webmaster is in the websites title tag format. 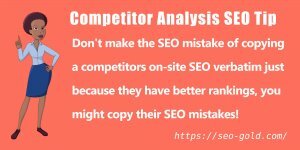 The title tag SEO wise is VERY important, get it wrong and it can decimate your potential Google rankings (less search engine traffic). 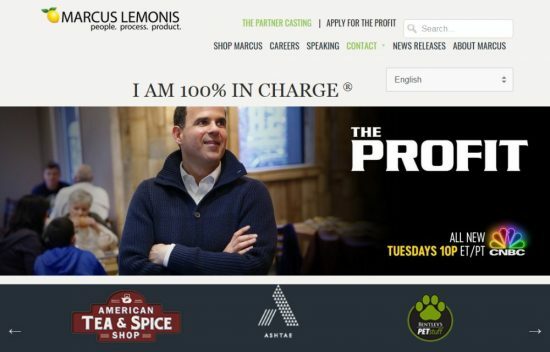 What they have done is add ” | marcuslemonis” to the end of the title tag rather than ” | Marcus Lemonis”. The domain uses Shopify and runs under the Shopify theme Mobilia v3.4 (costs $180). 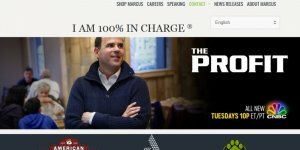 I checked out the Mobilia themes demo and it looks possible to change ” | marcuslemonis” to ” | Marcus Lemonis”, so it’s a webmaster mistake. This might not look like a big deal, but Google doesn’t know “marcuslemonis” is meant to mean “Marcus Lemonis”. Google guesses when it’s users makes typos when making Google searches, but it doesn’t treat a typo on a webpage as what it was meant to mean. 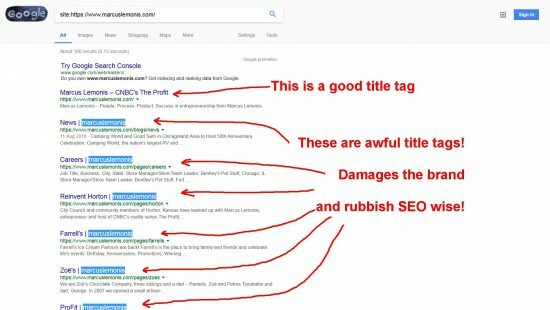 SEO wise this means there’s a word added to most title tags which doesn’t benefit Google rankings, in fact damages them slightly: every word used, uses title tag ranking benefit. Using “marcuslemonis” rather than “Marcus Lemonis” also damages the brand, how is someone not familiar with “Marcus Lemonis” supposed to know “marcuslemonis” means “Marcus Lemonis”? It could mean “marc us lemon is”. Update September 2018: Looks like the webmaster behind the Marcus Lemonis site has read this website review. The title tag format has been changed to Article Title – Marcus Lemonis. The list of article titles above (from the site: search) are also generally poor SEO wise. Take “Overton’s | marcuslemonis” as an example. Google uses the webpages title tag “Overton’s | marcuslemonis” as a significant ranking signal, Google reads this as the webpage should probably be ranked for SERPs related to “Overton’s” and “marcuslemonis”, that’s it. Google uses over 200 ranking factors, so getting one wrong isn’t the end of the world, but title tags are VERY, VERY important, (a top 10 ranking factor) this is one ranking factor you want to get right. marcuslemonis isn’t a real word and isn’t the brand name (the brand is Marcus Lemonis), search for it on Google and you get the “Showing results for marcus lemonis” result. IF we are including a brand at the end of the title tags it should be the actual brand, so in this case it should be “Marcus Lemonis” not “marcuslemonis”. Overton’s is a brand name (important SERP), but is that enough for Google to rank the page? This covers the brand, the business sector and the reason why the Marcus Lemonis website has an article about the Overton’s Watersports business. Admittedly the actual Overston’s article is rubbish in pretty much ALL respects: looks like someone copy and pasted part of a companies About page and that was it! If the content were improved it could rank for relevant SERPs AND directly benefit the Overton website SEO wise as well. You will note I didn’t include the brand name ” | Marcus Lemonis” to the end of the title tag. You could include it “Overton’s Watersports on The Profit | Marcus Lemonis”, but you don’t have to because if you manage a website correctly Google will add the brand name automatically to title tags. But if you check the webpages HTML code you will NOT find ” – S4S Coding” in the title tags HTML code, Google is automatically adding it to MOST (not all) webpages. Google knows the sites name (the brand name) is S4S Coding, so there’s no need for me to add it to the title tags. 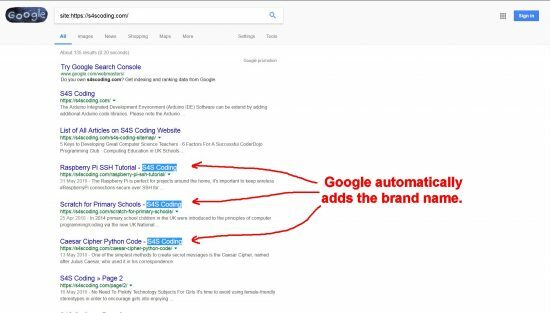 Google will automatically brand a domain IF it can work out what the brand is (it’s not difficult to achieve this). The SEO benefit of this is you aren’t spending valuable SEO title tag benefit on your brand name site wide. If it’s your brand name it shouldn’t need adding to the end of every webpages title tag for the site to rank for brand SERPs. If you are targeting another brand or you are struggling to rank for your own brand it’s worth considering adding it to title tags. 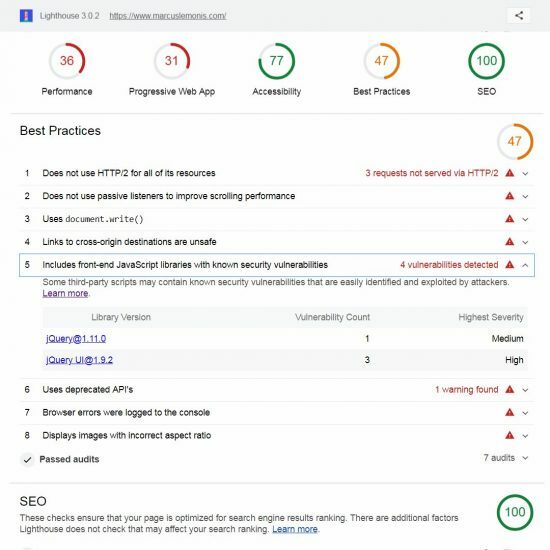 There’s lots of other basic SEO mistakes, but I’m going to move on to SEO performance by taking a quick look at the home pages Google LightHouse results. 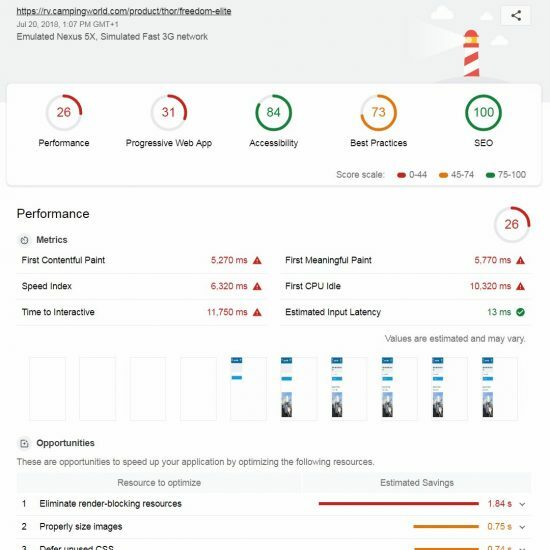 I really like Google’s free Lighthouse tools, it’s built into the Google Chrome browser and gives webmasters easy access to a lot of useful information they can work on to improve SEO performance. 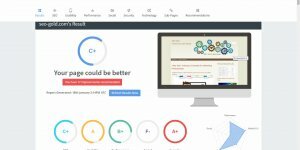 I’ve worked in SEO for over 15 years, when I create a site I manage everything myself so it’s done right first time. 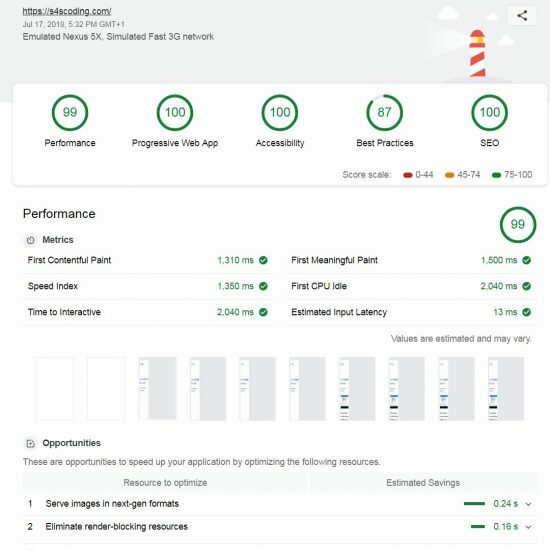 Below is the Lighthouse results for the S4S Coding websites home page I mentioned earlier, these are very good results, especially considering the domain is on a cheap Godaddy VPS server (I paid $600 for three years) and runs all my domains (about 100). Let’s compare a good Lighthouse result with a not so good one, the home page of the marcuslemonis.com domain. Quick SEO Tip: Technically the image above should target the “marcuslemonis.com Website Lighthouse Results” (Marcus Lemonis without a space), but as discussed earlier marcuslemonis isn’t a brand name and isn’t a SERP. A minor adjustment for SEO reasons and we have an image targeting “Marcus Lemonis Website” SERPs. This minor change means this article is more likely to rank in Google for “Marcus Lemonis Website” SERPs without taking anything away from the user experience. The screenshot above shows the Lighthouse overview, red indicates significant issues. For example it took 11 second for “Time to Interactive“. What this means is a visitor under real world settings (smartphone on a fast 3G network) has to wait 11 seconds before they can even interact (tap links etc…) with the webpage! There’s plenty of data available that shows users having to wait loses sales, for example Google found 53% of visits are abandoned if a mobile site takes longer than three seconds to load! Over half your traffic is wasted if it takes over 3 seconds to load and the Marcus Lemonis domain according to Lighthouse takes 11 seconds to be interactive, how much traffic are they losing? There’s loads of relatively low hanging performance fruit listed in the Lighthouse audit. Over 10 seconds related to precessing scripts (JS files). 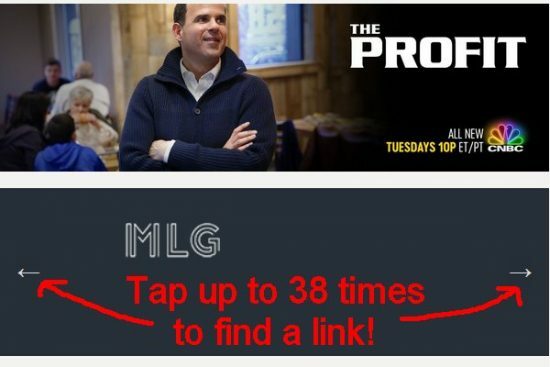 Take the Marcus Lemonis home page, it has a jQuery powered carousel image slider which scrolls the businesses Marcus has worked with on The Profit. To have this feature requires a crap load of JS scripts, it’s a HEAVY performance hit: takes time for the js files and the images to load. On most sites (including the domain I’m reviewing) the webmaster will have these bloated files loaded site wide (every webpage) even if only one webpage uses the flashy feature! The first question to ask is do we need this jQuery heavy carousel feature? 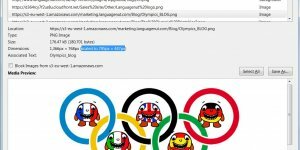 The image slider has 38 image links to internal webpages and on a Desktop device the links scroll quite slowly: looks like it scrolls slower than 1 link per 2 seconds! 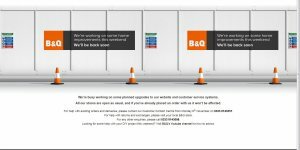 A visitor can’t quickly scan through the 38 links for a business name they might be looking for: to use this carousel to visit a webpage the visitor might have to wait over 60 seconds for the link to scroll by (could miss it) and there’s no simple text link based alternative, they have to wait! If visiting with a mobile device the links don’t auto scroll, users have to tap an arrow to scroll through them one by one, to find the right link could take 38 taps!!! The carousel feature is there to look good (it’s flashy), but it’s not user friendly or functional, it’s the equivalent of having marble artwork in a car showroom, might look nice, but it’s useless and adds no value to the business. A good webmaster who cares about performance and user experience would never add this feature. A drop down menu with text links or the image links in categorized blocks (similar to Pinterest) would make far more sense and wouldn’t require all that SEO performance killing jQuery scripts. Update September 2018: Looks like the webmaster behind the Marcus Lemonis site has read this website review. The user unfriendly Carousel Slider is gone. It’s been replaced with 4 representative Brand image links and a “Browse All” link which goes to a new page with all the brands as image links in categorized blocks (similar to Pinterest): my suggestion above. Of concern is the Lighthouse audit for the Marcus Lemonis website flags 4 vulnerabilities related to jQuery. The site runs two version of jQuery. jQuery@1.11.0 with 1 Medium risk vulnerability. jQuery UI@1.9.2 with 3 High risk vulnerabilities. Quite a number of webmasters miss these jQuery vulnerabilities, I did a similar website review on the Yoast domain a few months back and it had similar jQuery vulnerabilities listed. I emailed Yoast to let them know and it’s since been fixed. Have contacted the Marcus Lemonis webmaster to let them know there’s a possible cyber security issue. Update September 2018: Good news is the above JQuery vulnerabilities have been fixed. Bad news is they’ve been replaced with new vulnerabilities! Bootstrap@4.0.0 with 1 Medium risk vulnerability. jQuery@2.2.4 with 1 Medium risk vulnerabilities. I guess the webmaster doesn’t check their work in Lighthouse. The Marcus Lemonis website doesn’t do very well in Lighthouse, but there’s an argument that particular website isn’t very important, if the domain content vanished tomorrow it presumably wouldn’t make much of a dent in the businesses revenue. Update September 2018: The domain now includes a shop section with hundreds of products, so this site has now moved from a basic brochure promoting Marcus Lemonis to an eccomerce shop, now it’s important. Let’s have a quick look at one of Marsus’s important websites, his Camping Word empire. One of the most popular recreational vehicles (RVs) sold on the RV section of the Camping World website. Specifically the Thor Freedom Elite, let’s quickly review the Thor Freedom Elite sales page. On that section of the RV camping site they are trying to sell over 800 Thor Freedom Elite RVs, each costs ~$50,000, so there’s over forty million dollars in potential sales under this section alone! Minor performance SEO improvements could result in a crap load of extra money. Go all the way to the end at page 82 (https://rv.campingworld.com/product/thor/freedom-elite?page=82) and the navigation links still show pages 16 to 20. The web developer presumably assumed they’d never add more than 20 pages (200 products) to any one section of the store. There’s a LOT of money to made in the Thor Freedom Elite sales, so the webpages (close to 1,000 of them) should load super fast and be fully SEO’d, they should also be fully indexed in Google. 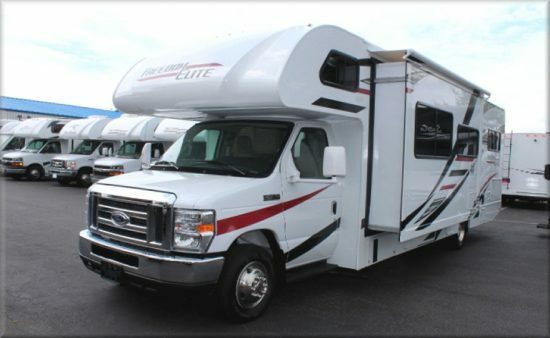 They aren’t all indexed in Google, it looks like Google has indexed only 273 pages under the URL structure “https://rv.campingworld.com/product/thor/freedom-elite” and I didn’t see the 82 store pages listing the 820ish RVs for sale or the 820ish RV sales pages! What was indexed are hundreds of Thor Freedom Elite dealer pages under the URL structure “https://rv.campingworld.com/product/thor/freedom-elite/dealer/“. Each individual Freedom Elite RV sales page has major self inflicted SEO problems in how Google is indexing them: really bad self inflicted SEO mistake! This was meant to be a quick review of one webpage :-) Let’s look at the main Thor Freedom Elite sales page in Lighthouse, the results are POOR! 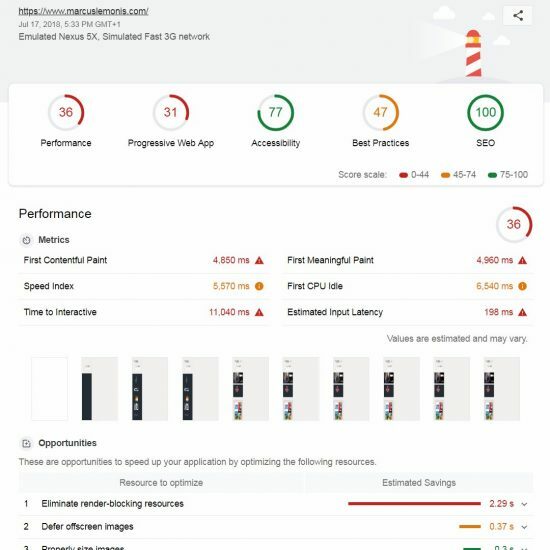 Like we saw with the Marcus Lemonis Website Lighthouse Results the Performance is poor, takes almost 12 seconds to load for similar reasons why the Marcus Lemonis Website loads just as slowly. It’s the usual reasons for loading slow, for example 2 seconds on CSS/JS scripts, almost 1 second for oversized images, the sort of issues which can be resolved over time. What was interesting is “first meaningful paint” was at around 5 seconds and it’s caused by “significant main thread work at”: this is the time it takes to process scripts (JS/CSS) before the webpage starts to load. To put this into perspective the webpage you are on now has a first meaningful paint of under 1.5 seconds. It’s those flashy jQuery features again. The above is a taste of SEO issues with the Marcus Lemonis website and one of his business websites, there’s always more!